Open your own Foreigners branch in your area. Join us and move the world forward with us. Considering relocation and immigration services connected with franchise network and direct database of property owners make Foreigners unique on the market. Want to be the No. 1 in your area? 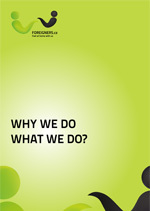 We are members of Czech Association of Franchising. We are finalists of the Franchise of the Year Award 2017 and winners of its Public Choice Award. After 9 years of experience with expats, we know how to be successful. All our branches are run independently by its managers. All of them grow by min. 30%–100% every year! Seven years in a row. Don't want to waste your time? We know how difficult it is to start a business on today's market. We also know that there are many people who love to be among expats and want to work in this area. We search for those who want to work in the international environment and own their business BUT they do not want to waste their time on business administration and grow faster! Want to have your own business and work with expats? 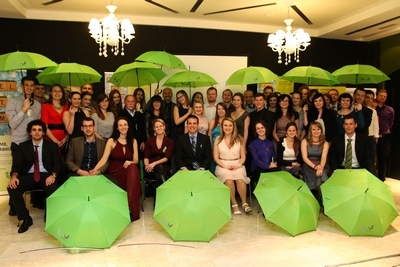 We are a group of people who love to help expats and love their job. We understand different cultures. Together we want to move the world forward! Want to achieve the impossible with us? We are ready to support new franchise branches in all capital cities and cities with a high population of expats, not only in Central Europe but elsewhere in the world. We are currently seeking a franchisee in Kiev (Ukraine).